Here’s a story I’ve been waiting to write for nearly a year now. Long-time Forza Faithful might remember a forum post I made last summer entitled “Where in the World is Mechberg T10?” In that post, I said I was heading out of Turn 10 HQ on a trip, the details of which I couldn’t tell anyone about. Here we are, one year later nearly to the day, and I can finally tell you about (at least part of) that trip. Myself and a group of talented track artists from Turn 10 took to the skies and landed in the Swiss Alps for an epic trip that took us through some of the most beautiful natural scenery imaginable. 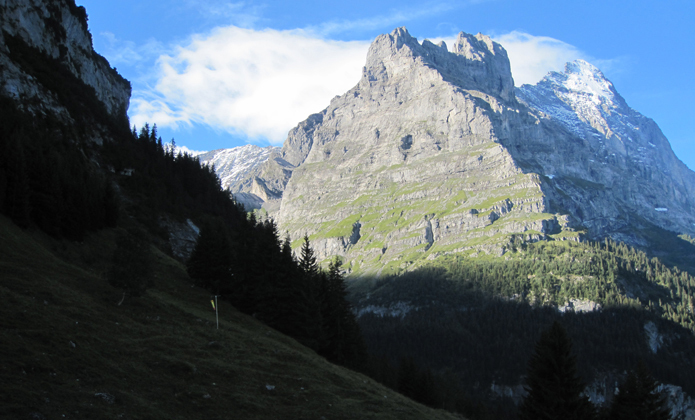 The trip of the purpose was simple: To travel through the Alps and capture as much reference material as possible for use in creating the next great track in Forza Motorsport 4: The Bernese Alps. From the very start of production on Forza 4 we knew the Alps would be an ideal location for creating another of Forza’s trademark epic tracks, but we couldn’t have prepared ourselves for the overwhelming natural majesty of the trip, which started in central Switzerland before continuing south into northeastern Italy’s famous Dolomite mountain range. If you’ve paid attention to Forza 4 coverage appearing in the press since our E3 2011 unveiling, you know that the Alps has been a particular point of pride for the Turn 10 team. You’ve read impressions of the track, seen video of it in action. And now, you can see how it was made. Today we’re kicking off our “Making Of Forza 4” video series with a behind-the-scenes look at the creation of The Bernese Alps track. The video does a great job at describing the end-to-end process of how Forza developers bring a track like the Bernese Alps to life in the game. But, for me, this trip was the most amazing travel experience I’ve had. I was lucky enough to tag along with the film crew that shot the amazing footage you see in the video and it seemed like an unending series of awesome moments from one day to the next. 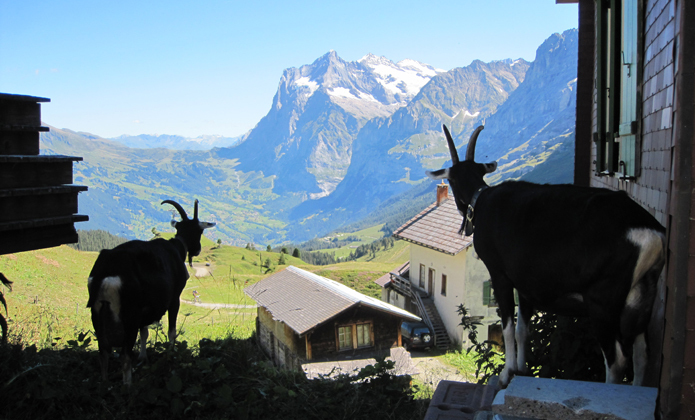 In fact, the scenery became something of a running joke among our group of intrepid travellers; for each summit we climbed, or quaint Swiss village we found while driving through the countryside, we were utterly convinced that it was the most amazing thing we’d ever seen. Then we would drive another ten miles, or scale our way up another peak only to be once again stunned by another “most amazing thing we’d ever seen.” More than a week of driving and hiking through the Alps resulted in some overwhelmingly beautiful memories and more than enough source material to take home back to Turn 10 HQ. 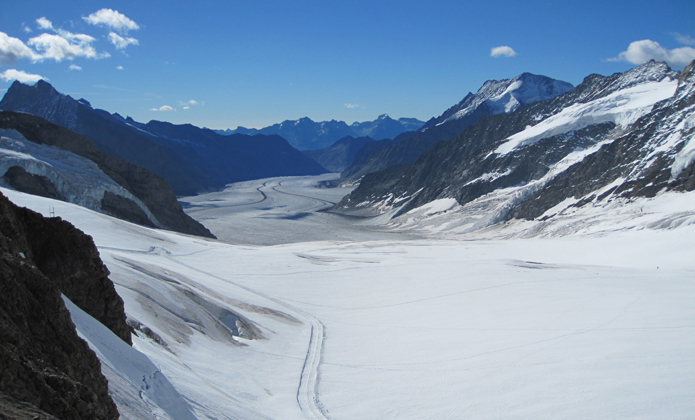 In Forza Motorsport 4, the Bernese Alps track is a fictional amalgamation of many of the real-life locales we travelled to during our Alps adventure. As you’ll see in the “Making Of” video, the process of creating a fictional track is, in many ways, quite different from recreating a track like the Top Gear Test Trackwhere the precision of the recreation is of paramount importance. With a fictional track, the track artists are able to flex their creative muscles and create a tarmac wonderland that really shows off the power and impact of Forza 4’s graphics. As a result, a sourcing trip for a fictional track is unlike one for a traditional track. With a fictional track, the goal is collect as much of the local flavor as possible. It starts with photography… lots and lots of photography. The team snapped photos, not just of the stunning and ever-changing mountains that dominate the Alps landscapes, but also the local architecture plant life, and even the surface of the roads upon which we drove so many hundreds of miles. And driving, as it turns out, is another huge aspect of getting to know the Alps. 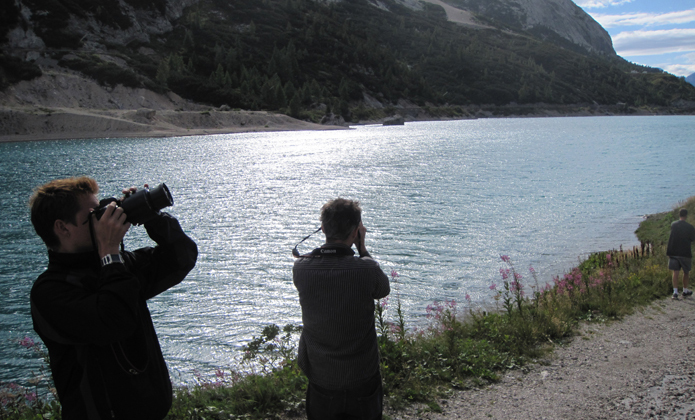 Sure, we spent a great deal of time hiking in the Alps to gather footage and pictures from incredible vantage points. But, for me at least, riding along through the steep and winding hills of the Alps was just as informative as to what it means to drive in this part of the world. I distinctly remember a morning drive we took that took us into the high mountains —extremely tense (and slow) going without much visibility. It did give me an appreciation for the character of the roads on which we were driving; you could focus on the windy road’s feel without the distraction of the scenery. 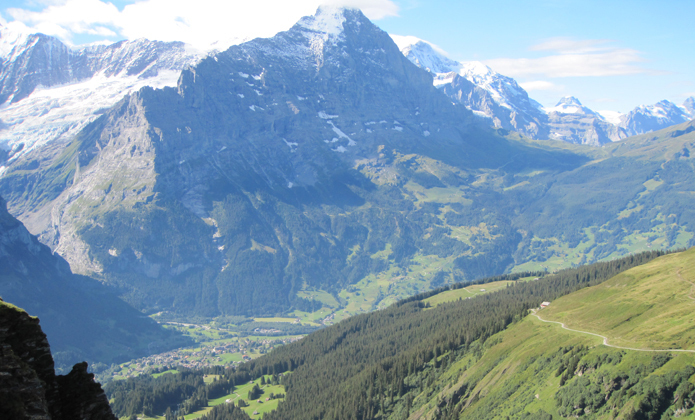 From the very beginning, our goal was to make the Bernese Alps the ultimate driving road, full of raw speed, lots of elevation changes, and plenty of “wow” moments throughout. I think we’ve achieved that goal but you’ll need to be the final judge when Forza 4 is released starting on October 11. Check out the video and let us know what you think in the Forza 4 forums. And be sure and stay tuned as we’ll have more great behind-the-scenes looks at the making of Forza 4 in the coming weeks.